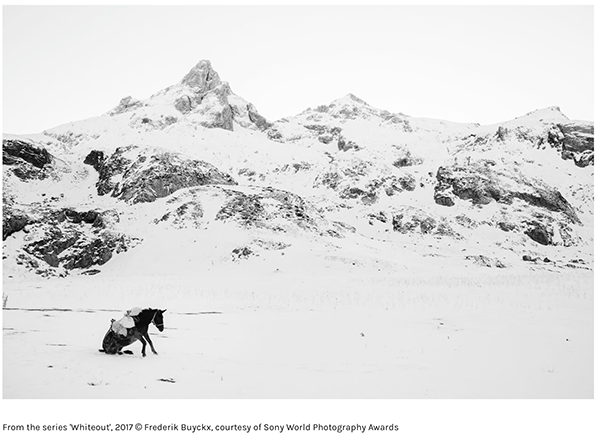 It’s been a record-breaking year for the Sony World Photography Awards, with 326,000 submissions from photographers in 195 countries. 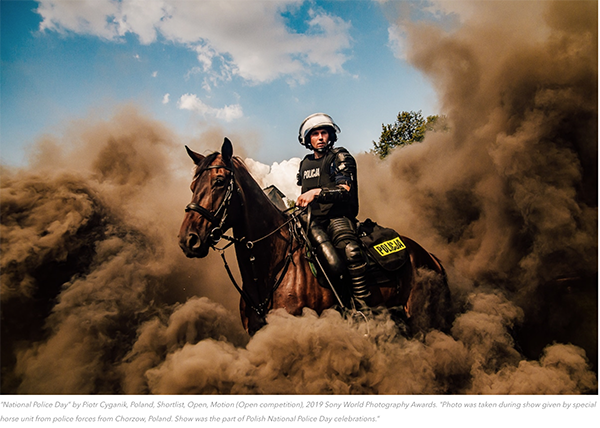 While the 2019 Photographer of the Year won’t be announced until mid-April, the World Photography Organisation has released its shortlist for the Open and Youth competitions. 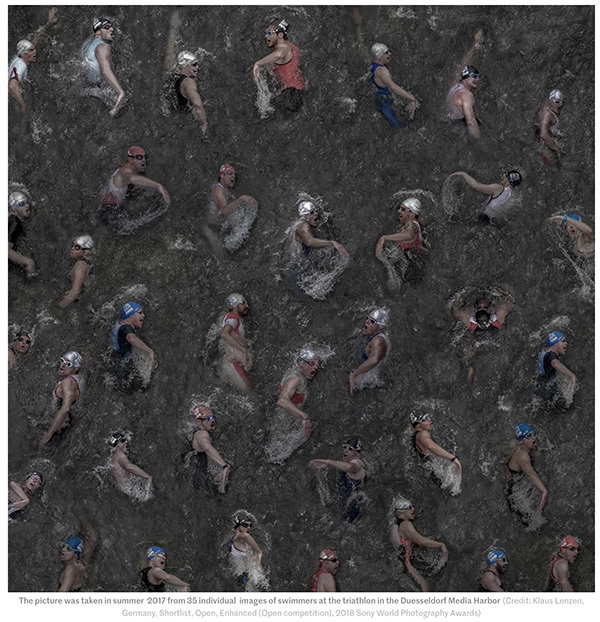 The dazzling photographs show the diversity of imagery across the ten categories of the Open competition. 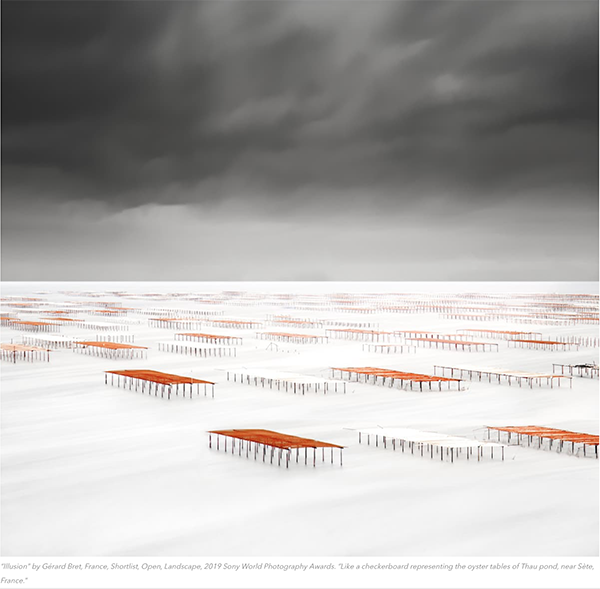 The ever-popular Landscape and Portraiture categories once again had high-quality entries, while newer categories like Creative yielded unexpected and refreshing results. 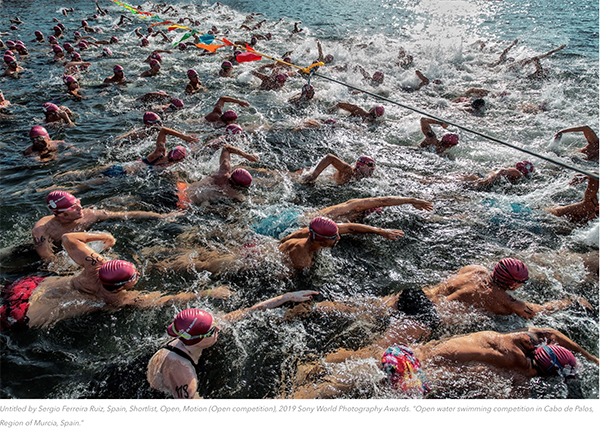 While photographers from the UK, Italy, and the USA submitted the highest volume of entries, Mexico, Korea, and India had the greatest increase in entry numbers, proving the global power of the competition. 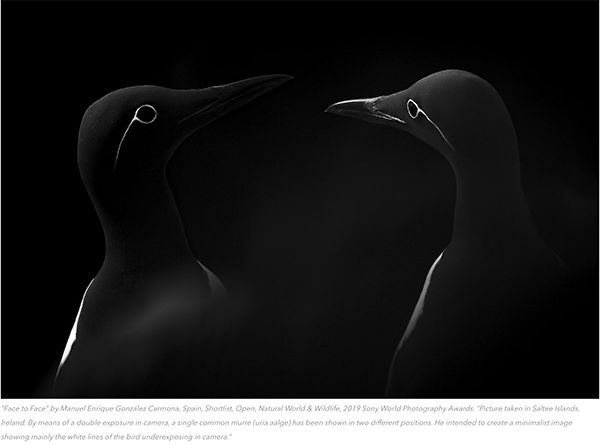 All shortlisted and winning images will be part of the 2019 Sony World Photography Awards exhibition at Somerset House in London. The show will run from April 18 to May 6, 2019. 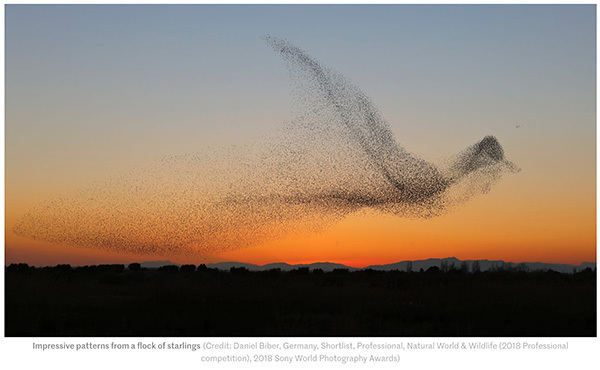 In the meantime, the photographers will anxiously await the February 26 announcement of the Open category and National Awards winners, as well as the Overall Open and Youth winners’ reveal on April 17.
photography competitions. The 2018 competition has closed and the winners will be announced in April 2018. Here is a random shortlisted selection of some of the entries. 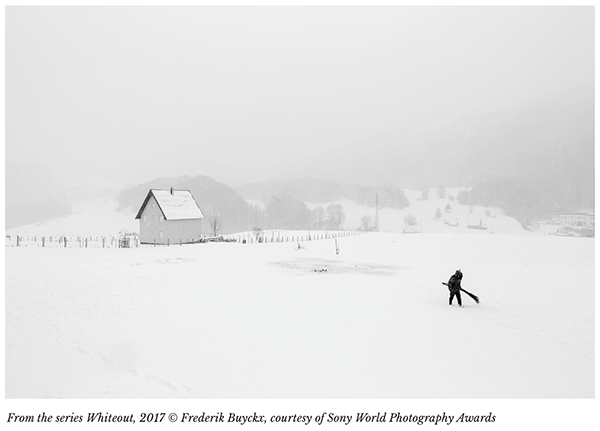 Frederik Buyckx has scooped Photographer of the Year at this year’s Sony World Photography Awards, with a series called Whiteout that explores how nature is transformed by winter. 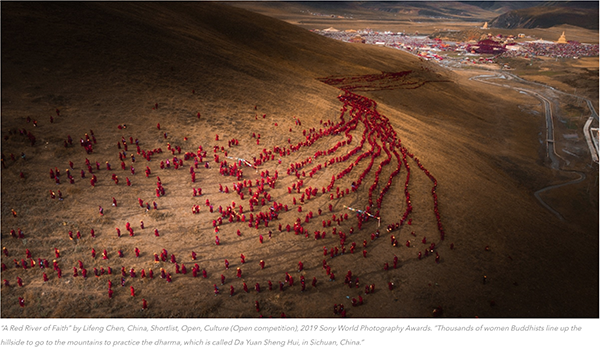 “I have chosen a series of landscapes so that we may return to the essence of looking at photography,” comments Zelda Cheatle, chair of judges at Sony’s World Photography Organisation. 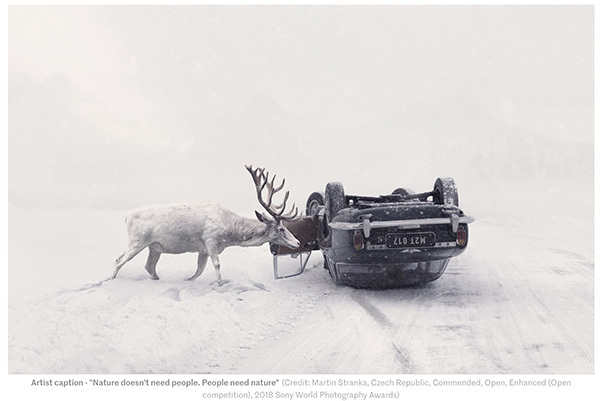 “Landscape is often overlooked but it is central to our existence. I hope this award will inspire many more photographers to take pictures that do not simply encompass the terrible aspects of life in these troubled times but also capture some of the joys and loveliness in each and every environment,” she continues. 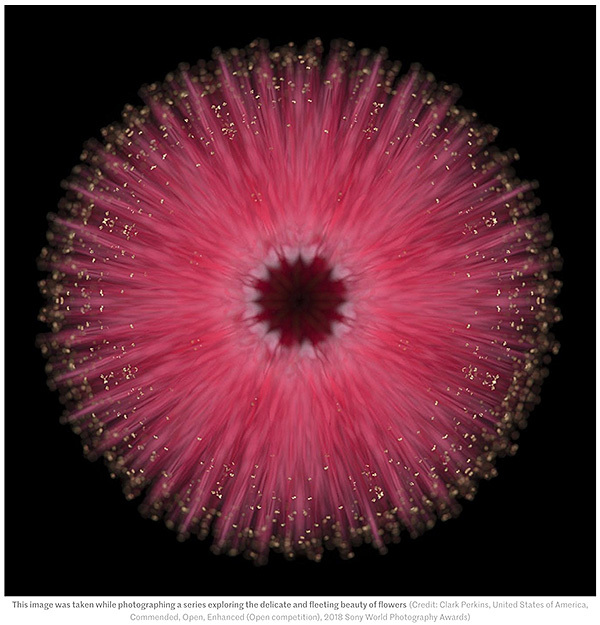 The recipient of the 2015 L’Iris d’Or / Sony World Photography Awards’ Photographer of the Year title and $25,000 cash prize is American photographer John Moore. 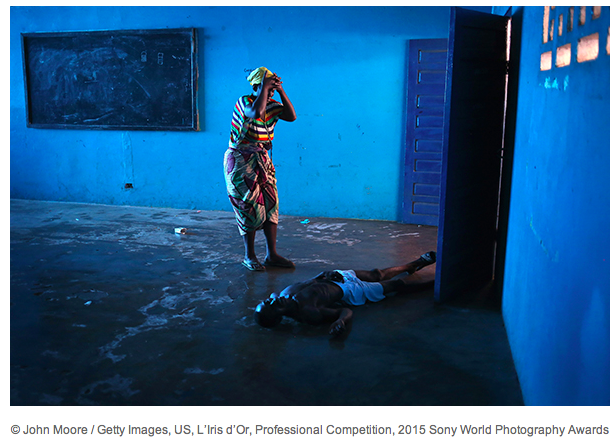 Chosen from 13 Professional category winners, the winning work “Ebola Crisis Overwhelms Liberian Capital” is a hard-hitting series of images that cut to the heart of this human tragedy. 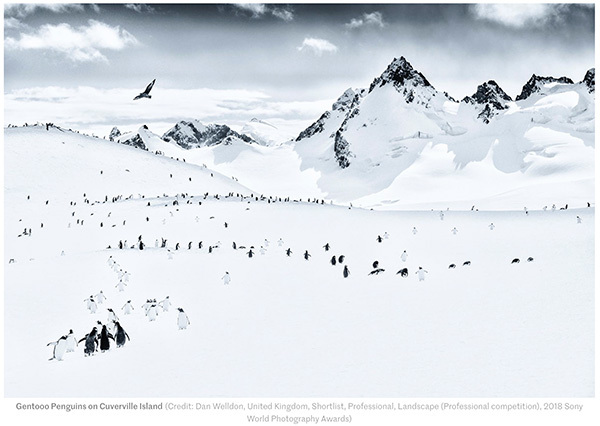 It is the highest accolade of the Sony World Photography Awards and past recipients have included Vanessa Winship (UK); David Zimmerman (US); Andrea Gjestvang (Norway); Sara Naomi Lewkowicz (US); Mitch Dobrowner (US); Alejandro Chaskielberg (Argentina) and Tommaso Ausili (Italy). 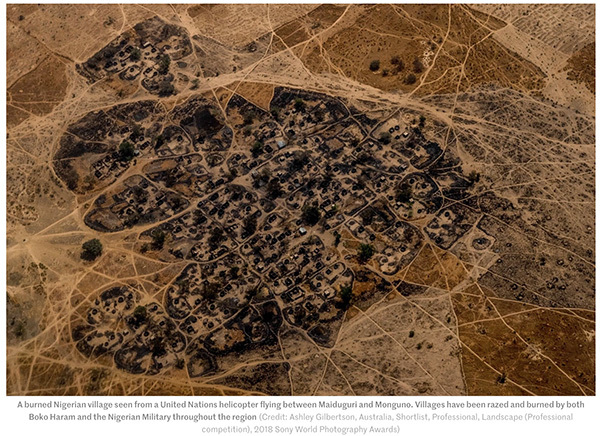 John Moore, a Senior Staff Photographer and Special Correspondent for Getty Images, and the winning photographs have been universally credited for the early exposure of the scale of the Ebola epidemic in Monrovia, the capital of Liberia and the epicentre of the deadly disease. 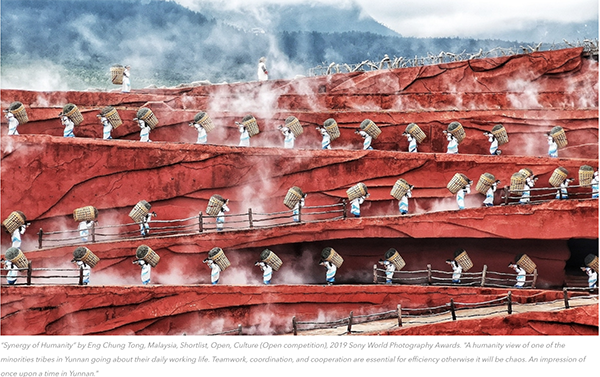 The Sony World Photography Awards is recognised as one of the leading global photographic awards programme in existence today. It’s purpose is to find new talent and to promote new talent. It seems to do that successfully. Last year’s winners contain a sprinkling of old names and some glittering new names. 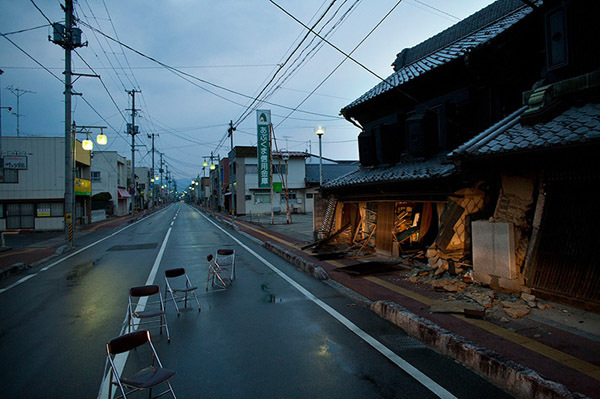 The 2013 competition deadline is 4th Jamuary 2013. 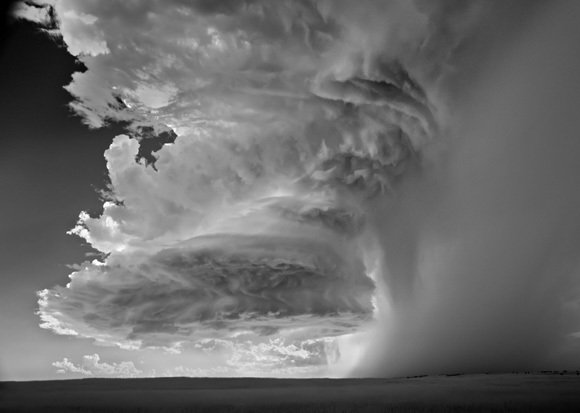 The winner of the Iris D’or was Mitch Dobrowner for his storm images from the Appalachian mountains. Here are some well known winners: The first photo is Rob Hornstra’s Sochi Singers. 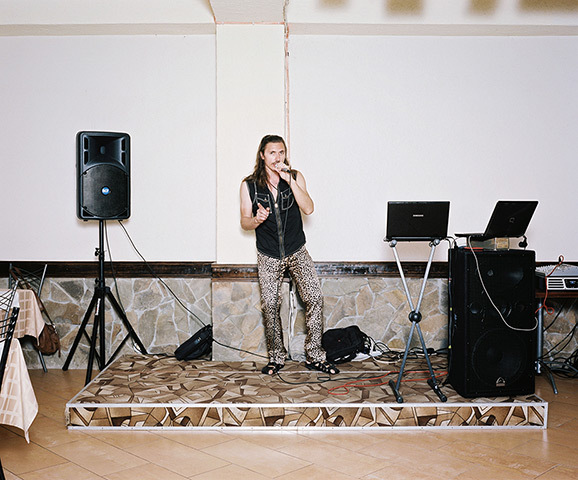 The last photo in this selection is Kasia Bielska’s from the Contemporary Issues section. “My passion has always been to photograph landscapes during interesting weather events,” Mitch Dobrowner told BJP. 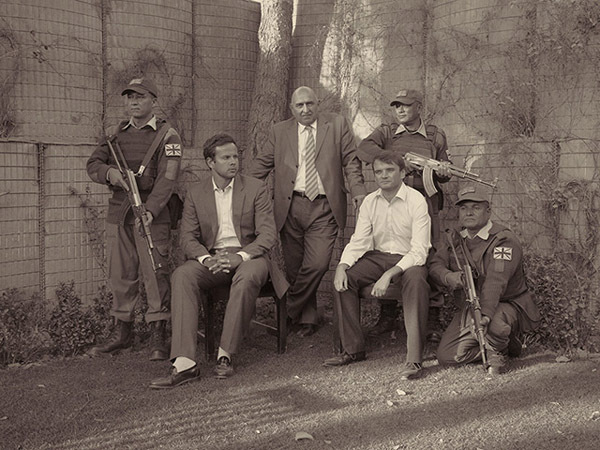 “Mainly because they offered the most interesting lighting conditions. So I asked myself, ‘Why not try to experiment?’ which brought me to research photographing storm systems in Tornado Alley.” Tornado Alley is a loosely geographically defined area located between the Rocky and the Appalachian Mountains in the US, and Dobrowner has now been shooting there for a couple of years, creating a portfolio of photographs that has won the 2012 Sony World Photography Awards. 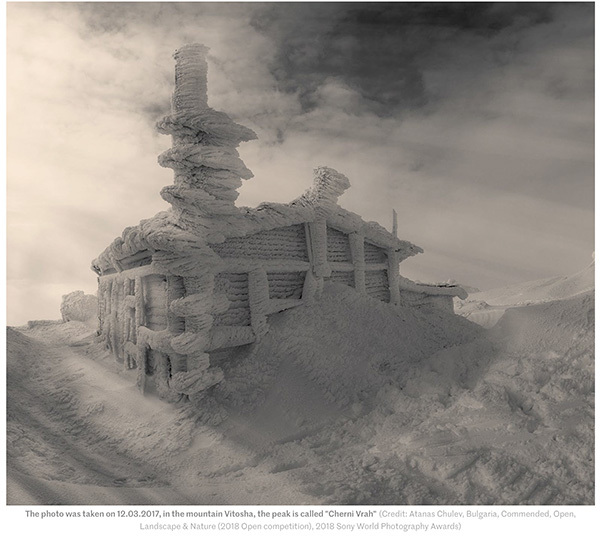 Dobrowner was selected from more than 112,000 entries from 171 countries, and a shortlist of more than 120 photographers. 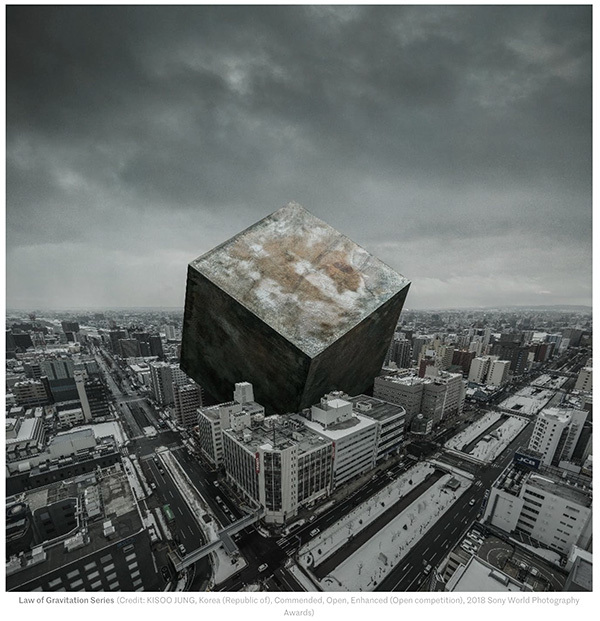 He received the top prize in the Fine art/Landscape category, as well as L’Iris d’Or worth $25,000 at a high-profile ceremony in London on 26 April.